Strawberries and Buttercups: Splashing and Spolshing! I haven't shared an adventure of my niece and I for a while. Its often hard doing that as I know that the internet is a big wide world I'm exposing her to if I share photos so I try not to which means I can't show you what we're up to. Last weekend my niece was so excited about going to City Park which is in the city center with school. Only come Monday we had the heaviest rain fall imaginable with thunder and lightening. The school cancelled because children would be scared even though by 9am it had all cleared up and was another scorcher of a day. I don't have any reason to go to this end of the city anymore so when I turned up it was such a surprise to see majority of the children in their swim ware playing in the water. I didn't have any spare clothes so told my niece to keep away from the water fountain when it was high and to stay in the shallow water. That went pear shaped as we ended up being squirted by the water fountain but also by the children running through it. She ended up totally soaked from head to toe and thankfully I'd taken her dress off so could put that on and go in search of some clothes to buy which I did. 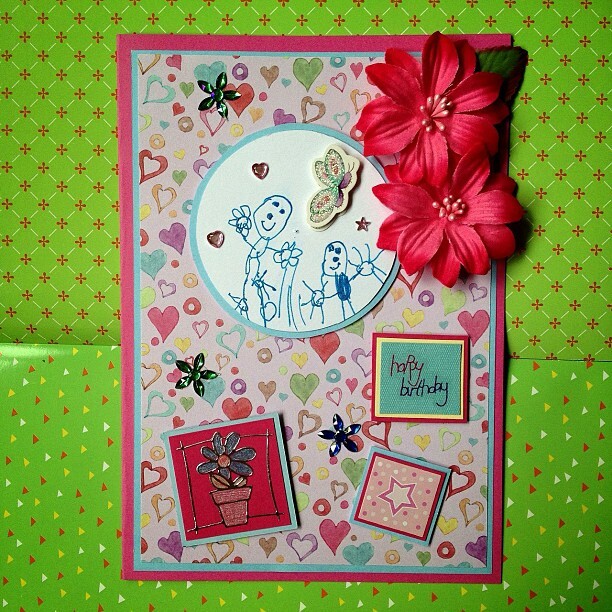 a birthday card of me and her at City Park 'Having so much fun!' I hope the weather perks up again as its been another heavy rainfall day which lasted all night and on and off all day. 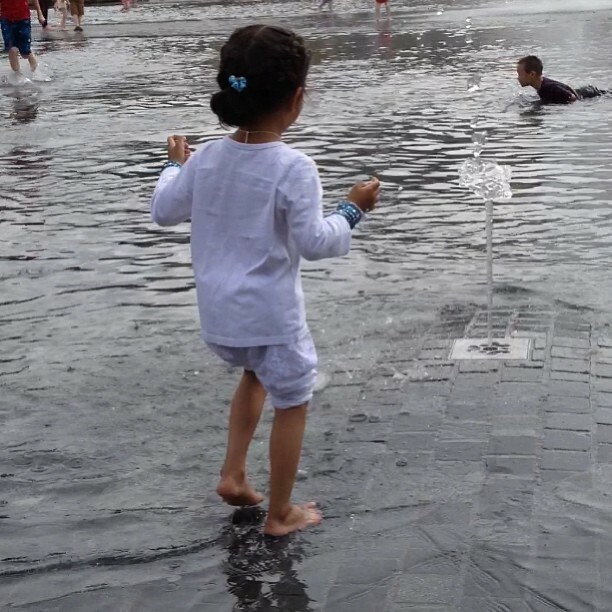 I've promised to take her again with spare clothes this time so that she can go slightly further and run through the fountains like other children did but I can't if our summer is over already... I hope not!